As I have been trying to say, Chicago is a truly amazing city to visit. Culture, shopping, sports, the lakefront, fine dining, not so fine dining… the list goes on and on. But now, I have some actual proof. In their annual survey and review of submissions from over 300,000 readers, this is the conclusion. 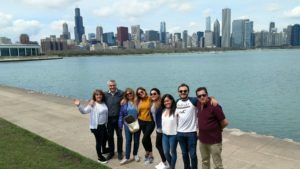 Chicago was voted the best US city to visit. 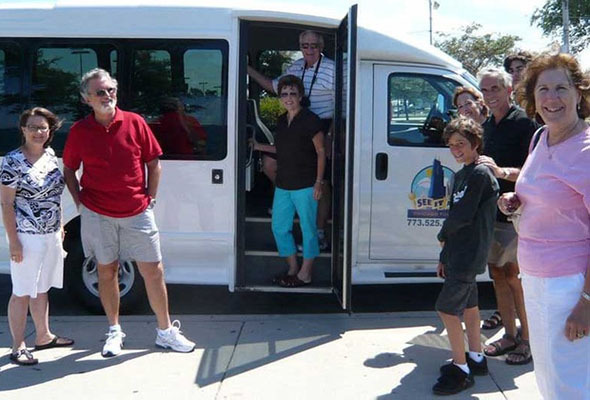 Chicago sightseeing and Chicago bus tours are just a small part of a great experience that awaits you when you decide to make this beautiful city your vacation destination. Below is the list of US cities in the order that they finished. Why was Chicago voted the best? There are way too many reasons to list. This time of year features the lighting of the trees along the Magnificent Mile shoppind district. 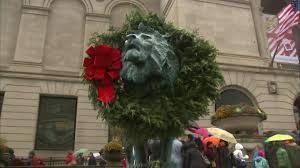 The wreathing of the Lions in front of the Art Institute,Opera and Joffrey Ballet seasons and plenty of sports will also keep you busy.. The Chicago Blackhawks are just starting to play better, as they try to climb back up in the NHL western conference standings. The Bulls and Bears are trudging along. In college sports, The Northwestern Wild Cats appear to be bowl bound. College basketball season is also in full swing, with Northwestern, Depaul, UIC and NEIU taking on all comers. The theatre scene here is also a year ’round activity. Small theaters, like 773, Timeline. Lookinggglass and Chopin are intimate. Medium sized venues like Steppenwolf and Drury Lane are always great options. The large, downtown theaters like The Palace, Goodman and Oriental feature the big productions. Broadway in Chicago has some interesting upcoming plays. Escape to Margaritaville is a new broadway bound play written by Jimmy Buffet. Another one, about the life and times of Cher opens soon, as will a new play based on the movie Pretty Woman. Come to Chicago. You’ll be glad you did!